Kitchener Criminal Charge? Let Bruce Ritter Help You! In any criminal case the potential repercussions are immense. Every case is different. Many have both immediate and long-term effects that you must consider. Your ability to earn a living in the future, the ability to travel and your ability to conduct yourself in day-to-day life can be impacted with a criminal conviction. You need to have a fair assessment of your case as well as a full understanding of what you are up against when dealing with a criminal charge. This may be one of the most traumatic times of your life, and you don’t want to leave it to chance. 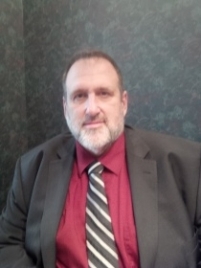 Bruce Ritter, of Bruce Ritter Law Offices in Kitchener, understands that when you find yourself charged with a criminal offense, especially if it’s your first time, you really need help working through the legal system. It can be very difficult to navigate through the system, however, arming yourself with a knowledgeable and hard working attorney, gives you a chance at success. When you meet with Bruce you will see that he is able to assess exactly what is required to handle your case in order to obtain the best possible result for you. He is prepared to do what needs to be done and he will do it in a way that is considerate to your personal circumstances and the issues you are currently facing. Bruce’s inventive defense style helps him ensure that every reasonable defense has been examined and that all appropriate steps have been taken to achieve the best possible results for your case. Whether it is an outright acquittal, or a lesser charge, his ultimate goal is to work towards getting the best outcome for you. Contact Bruce Ritter today and let him review your file, provide you with an honest and concise assessment of your case as well as your best plan of action. Don’t wait call today.